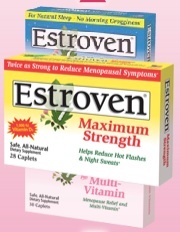 Why does it seem like menostay and not menopause? I wish ten years ago someone would have told me about peri-menopause; I might have saved money on therapy. Who knew that feeling like the Tasmanian Devil one minute, then forgetting why you did the next, all the while drenched in sweat because your body felt like the portals of hell just opened up in it…could be attributed to ovarian issues? I didn’t. So, years later when my OB/GYN gave me the “the good news is you still have your ovaries; the bad news is you still have your ovaries–but they’re tired now” talk, she gave me a prescription for some magic hormone pill that would make it all better. Fast forward six weeks, and I’m eating brownies by the dozens and having meltdowns because my clothes are shrinking. I threw the pills away. Hot flashes I could deal with. Expanding thighs? Not so much. The Estroven website offers information about menopause symptoms, and there’s even a self-survey to let you know how you’re handling (or not) menopause. Download their Wellness Guide while you’re there. What I really appreciate about this company is it recognizes that, armed with the right information, women can make their own decisions about their journey into this stage of their lives. And we don’t have to resort to whispered conversations as if the subject is taboo. Not only does Estroven offer special reward through a Brand Ambassador Program, you can find information about offers by liking them on Facebook. To help teachers, students and parents entering the “Our School Needs…” Contest we did a quick tutorial on what makes a great submission. Mike and Maggie Davidson, parents of two sons in high school, lead-if not the perfect life-certainly one close to it. Brian, a senior, plays on the school’s baseball team and hopes for a scholarship. Jamie, a junior, is a member of the drama club. Of course what seems to be perfect from the outside, is -like most families-not so perfect on the inside. Even before Jamie’s surprising announcement, Maggie and Mike were experiencing a tug-of-war rooted not so much in whether or not they should worship, but about how they worship. Mike continues to be involved in the Catholic Church, even serving on the church’s Contemporary Issues Committee. He wants his family to attend worship with him, but Maggie is pulling away from the Catholic Church. Mike, it seems, see her distancing herself from the church as her distancing herself from him as well. With this strain as the backdrop, Jaime comes out to his mother. As a mother, I appreciated Shay’s handling of this announcement. Maggie’s doing the laundry when Jaime tells her that the date he’ll be going on is not with a girl, but with Luke. The startling juxtaposed with the mundane was a nice touch. Shay ‘s characters aren’t flat talking heads for an agenda, aren’t stick figures designed to play themselves out as victims, which-honestly-would have made the writing easier! She creates a real family whose life doesn’t stop while they figure out what to do when Jaime announces that he is gay. Mike and Maggie still struggle in their relationship with one another. Brian, as would be expected, loves his brother but is mad at Jaime for making their lives difficult. Not to mention, as the high school jock, the tormenting he’ll be subjected to by his friends. And Mike, even while he expresses his disapproval, disappointment, and despair, is portrayed as a man and father very much in conflict. He loves his son; he loves his church. How can he and is it even possible for one to be reconciled to the other? Since the story was set in New York, I more readily bought into Jamie and Luke holding hands in the school hallway and attending prom as a couple. As much as I hate to admit it, I’m not sure that gay students in my school would be so courageous. Ultimately, Shay crafts a story of a family on the brink of brokenness who find their way back through hope. She rises about stereotypes and easy solutions, and shows us that real love means rising above our own expectations of others and loving them right where they are. Definitely a book I’d recommend. Thanks to Fictionary for inviting me to post on your blog. First, let me introduce myself and my new book. 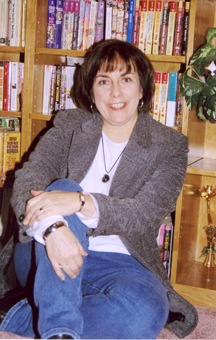 I’m Kathryn Shay and I’ve been published by Harlequin and The Berkley Publishing Group for the last fifteen years. The Perfect Family, released from Bold Strokes Books this month, is my thirty-seventh book. NOTE FROM CHRISTA: Tune in tomorrow when I review Kathryn’s novel, The Perfect Family. Definitely a breakout book! The Perfect Family follows the Davidsons, an average American family with a good life and they consider themselves lucky to have each other. Then their seventeen year old son tells them he’s gay and their world shifts. They have no idea what they will go through after Jamie’s disclosure: Jamie’s father Mike can’t reconcile his religious beliefs with his son’s sexuality. His brother Brian is harassed by his jock buddies and angry at Jamie for complicating all their lives. Maggie, his mother, fears being able to protect her son while struggling to save her crumbling marriage. And Jamie feels guilty for the unhappiness his disclosure has caused. Their story is full of both conflict and love, ending on a redeeming note. 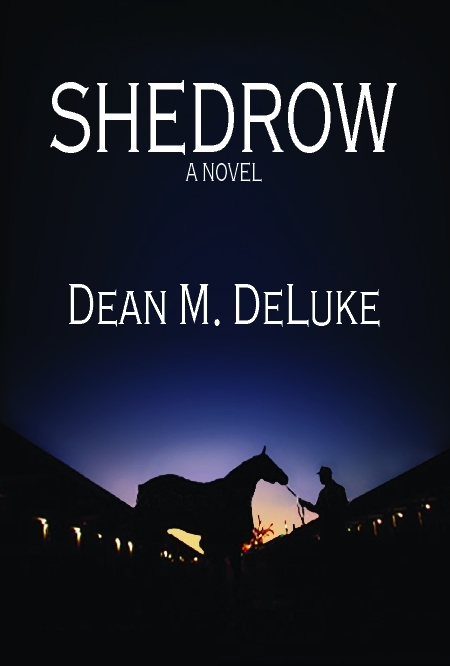 My path to this book, a mainstream fiction novel, began in 1995 when my first Harlequin Superromance was published. I was a full time high school teacher, mom and wife at the time. I was thrilled with the sale and couldn’t believe this had finally happened to me—I’d been getting rejections for almost two years. Once it did, Harlequin was interested in a career, not just one book, and I went on to write first, one book a year, then two or maybe even three. I sold a single title book to Berkley in 2001 and my second round of publishing began. At this point I should have stopped teaching, but I couldn’t because I loved that job too much. What followed were several years of a balancing act I wouldn’t like to repeat and wouldn’t recommend to anyone. By the time I wrote The Perfect Family, I was happily retired and ready to take on this new project. The Perfect Family had many iterations, initially written in first person, then switched to third, giving the characters more dimension and finally adding a secondary storyline. It was five years in the making before I sold it last summer. And now, it’s out! I love this book with my whole being. It’s truly the book of my heart. I have a gay son and when he came out, I decided I to write a coming out story. The Perfect Family is fiction, but touches on some of the things my own family went through. I wished then I’d had a book like The Perfect Family to help me understand that a family’s struggle when a teen comes out is common, but he deserves love and support from them. I was also a high school teacher for many years and I know teenagers. I know how they react to people who are different from them, how sexual orientation can freak them out and how they can be cruel. But they can also be unbelievably loyal and supportive. I tried to show all this in the book. And we have a gift for readers. My son is a singer/songwriter and made a CD in high school about “loving a boy” and other adolescent issues. We’re offering it free at the publisher’s website when you order a book from them at http://www.boldstrokesbooks.com/products.php?product=Perfect-Family%252C-The-%25252d-by-Kathryn-Shay and it will also be offered on my website, http://www.kathrnyshay.com while copies last. I’ll check back to see if there are any comments during the day. P.S. Also, many people ask about my next book. I’m working on new projects now, but I’d also like to say here that if readers are interested in my backlist, I’m making plans to put nine previously published in print books up on Kindle and Smashwords around the time The Perfect Family is released. Some people rema rk about the heart-wrenching moments in my books, how they grip them and even put them in tears, and ask how I come up with these ideas. Well, before I set out to write BEYOND JUSTICE, I asked many of my friends to share their greatest dreams and fears with me. I got a good variety of answers. Then I asked myself those very questions. Finally, as I decided on what my worst nightmare was, and combined them with some of those detailed by my friends, I decided to put my protagonist Sam Hudson through those very trials. We writers have to be very cruel to our characters. The opening chapters of BEYOND JUSTICE were probably the most difficult passages I ever had to write in my life. In order to make Sam’s emotions authentic, I had to put myself in his shoes. To achieve honest emotions, I imagined everything as if it were in my own house, my own wife and children. Believe me, these details are things that you don’t ever want to imagine, much less relive and record in graphic detail. But I had to do it. And I remember sitting at the computer, tears rolling down my face as I wrote that first chapter. I had to stop for a moment and regroup before I could continue with the next chapter, which was just as difficult to write, if not more so. It’s kind of like method acting. For just about every scene, I ask the same question of my POV characters as an actor on the stage or set might: “What’s my motivation?” You see, the scene is never about the scene. Not superficially, anyway. There’s always something internal going on in the character that is not apparent externally. Want an example in real life? Imagine you’re waiting on line at Starbucks and you realize the person right in front of you is that person whose guts you can’t stand. Let’s call him Ken. Ken is a bossy, rude, and self-important guy who always cuts you off, always ignores what you say, and he’s ill-tempered. He sees you and says hello. You’re stuck having to make small talk with him. You might smile while you talk, but what are you really thinking, feeling inside? Back to Hell on Earth. Why are we writers so cruel to our characters? Why do we let bad things happen to good people? I don’t hate my characters, I like them a lot. But you never know what their true ‘character’ is until they’ve been put under extreme stress. People say a lot of good things, promise to follow you to the ends of the Earth, pledge their lives to you, but when push comes to shove? Even Saint Peter, who said he would lay down his life for Jesus, denied him three times, despite his master’s prediction that he would do just that. Character is not determined by the words, the good intentions, or the promises we say or make, but by the choices me make under extreme stress. I daresay Sam turned out admirably. I don’t say this out of conceit, but because while I knew how the book was going to end, I didn’t know till I got there how exactly he would respond to everything I threw at him. But he showed me what he was made of, what defined him. And I’m quite proud of him for that. Readers of BEYOND JUSTICE tell me that they don’t know what they would do if they went through what Sam Hudson did. I just pray none of us ever have to find out. But that’s why I write these things. To challenge myself and my readers to think, to imagine, and to consider things they might never otherwise. Joshua Graham’s debut novel BEYOND JUSTICE is taking the world by storm, one reader at a time. Many of his readers blame him for sleepless nights, arriving to work late, and not allowing them to put the book down. Under other pen names, Joshua has been published in three Pocket Book anthologies. Joshua’s short fiction works have been also been published by Dawn Treader Press. He’s a graduate of the Oregon Professional Writers Masterclass run by Dean Wesley Smith and Kristine Kathryn Rusch. Joshua grew up in Brooklyn, NY where he lived for the better part of 30 years. He holds a Bachelor and Master’s Degree from Juilliard and a doctorate from Johns Hopkins University. 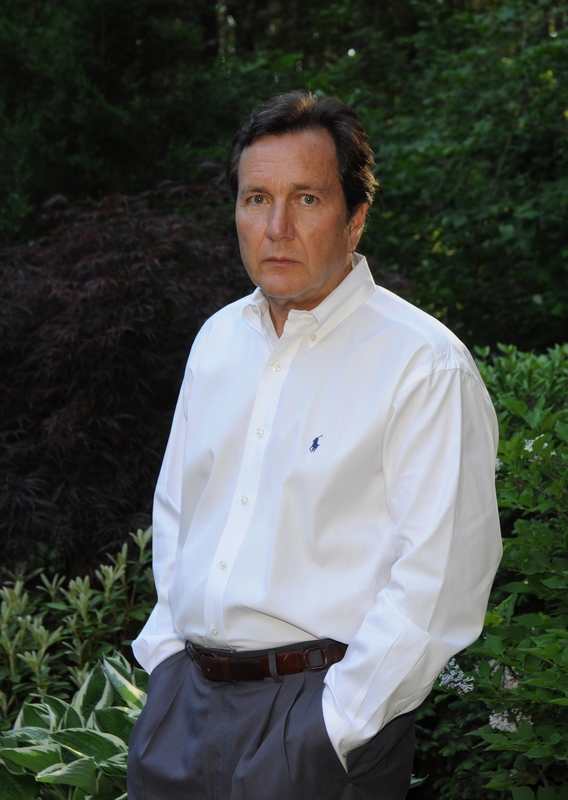 He has taught as a professor at Shepherd College (WV), Western Maryland College, and Columbia Union College (MD). Today he lives with his beautiful wife and children in Southern California.